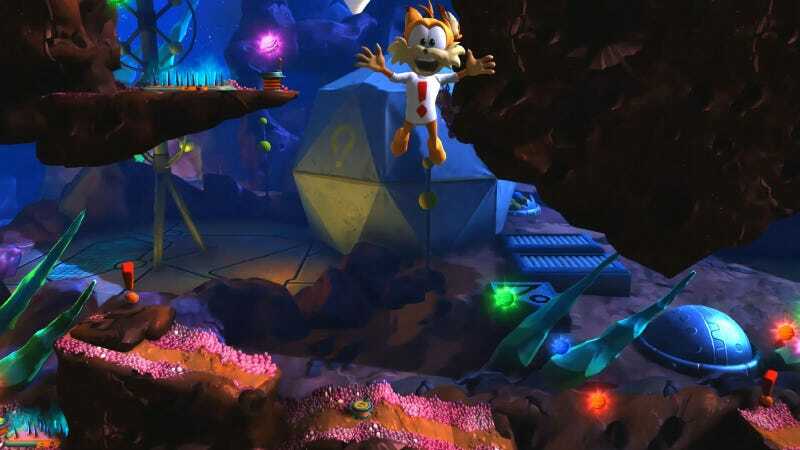 Development studio Accolade is back with a new game featuring their flagship character, Bubsy. Is this even legal? Mods? Reporter: … it’s a platforming game right? Bubsy: Running, Jumping, Gliding…they’re all metaphors for life. Just ask Mario. Reporter: Do you know Mario? Bubsy: No, what’s your point? I have absolutely no explanation for why this happened or who wanted it. I do know, however, that I will continue to intentionally mispronounce Bubsy’s name.